Pallet racking audit must be conducted at least on an annual basis for damage, overload and integrity. A pallet racking audit can bring to light the following issues which have serious implications on safety. Preventive actions could be taken to avoid accidents. Overloading of beams – The pallet racking beams may have been deformed due to previous overloads or by damage caused due to forklifts and pallets. 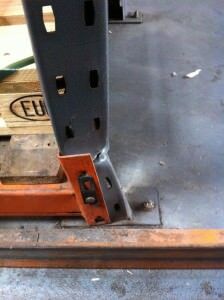 Damaged welds & deformation of beams due to forklifts/pallets – Connector welds or the box welds might have given way due to constant load variations. Missing Safety Clips – Safety clips may be missing/damaged which could lead to the beams getting dislodged. 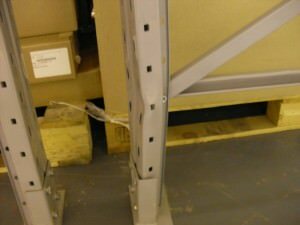 Damaged uprights – Pallet racking frame uprights may have been damaged or may have been deformed. Damaged splices – Frame splices may have been damaged or loosened. Out of plumb – Pallet Racking frames may not be vertical due to various installation, environmental and usability factors. Floor fixtures – Footplates and anchor bolts may have been damaged due to floor shift, misuse and improper installation. 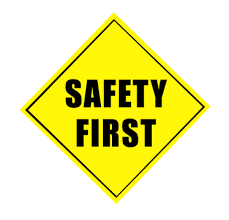 Safety & load signs – Incorrect load signs and missing safety signs due to reorganization of beams in pallet racking aisles. Checking and correcting the above not only prevents accidents,it also prevents stock damage and further damage to other pallet racking components. Northside Shelving & Racking Team have the experience, expertise and credibility to ensure your pallet racking is safe and stays in good shape for years. Call us on 02 9482 4288 or fill the contact form below to discuss how we can help with your pallet racking inspection. We can conduct pallet racking audit, inspections, checks and repairs to all regions in and around Sydney.